Unreleased Star Wars action figures. Neatstuff Collectibles just released one of the largest collection of rare Star Wars collectibles in partnership with eBay. To see what’s still available and to bid on a piece of history, check out the exclusive eBay listing page via Neatstuff Collectibles. Available only through early April 2018. 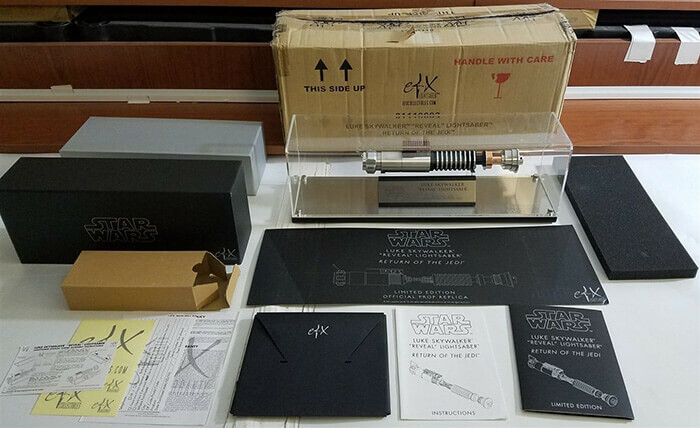 The entire listing is valued at well over $100,000 and contains rare Star Wars collectibles from art proofs, prop prototypes, rare prop replicas and action figures. Over 40 signatures from the original cast are contained within this collection. Neatstuff Collectibles is honored to be able to list this incredible, one-of-a-kind Star Wars collection in partnership with eBay to make the listing available to anyone interested in owning a piece of history. This incredibly rare Star Wars collection will only be available on eBay through early April, so check it out now! ⟵What Are Your Nintendo Games Worth?